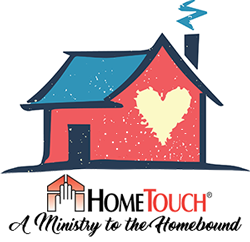 With HomeTouch®, you can create a Christian-based outreach ministry to your homebound members. These special church members who are "shut in" or homebound and not able to attend services are often the forgotten members of the church. The senior adults or those that are ill and confined to their homes, a nursing home or hospital bed, would love to attend church programs and services and experience the fellowship and community of their church family on a regular basis. HomeTouch is no substitute for that experience, but it can help you to fill the void they may feel when they are no longer able to be physically present in church. It can help you create a loving, ministering outreach to your shut ins and other members, who for any reason are not able to be a part of the physical church family. HomeTouch is a ministry resource that provides a weekly Christian devotional letter and activities that help your senior adults or other homebound members feel remembered and appreciated. HomeTouch will remind them of your concern for their emotional and spiritual well-being. Reach your homebound members every week. You can send or deliver to your senior adults or homebound members a personal package from your church. It will contain two pages printed in large type for easy reading, reminding them of how much they are remembered and loved. The devotional page includes a thought for the week, a prayer and a short, inspirational message. It also includes room for a personal message or signature from the pastor or senior adult minister. The activity page important because your shut-ins have so much time on their hands, is full of things to do during those long hours of the day. 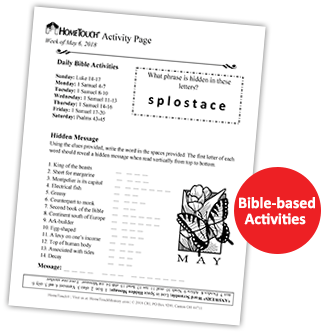 Each activity is based on the Bible or church life. HomeTouch is completely reproducible. We send you the masters for the devotion and activity pages for every week. You make as many copies as you need. You can use the packets in any outreach ministry program within your church, including hospitals or nursing homes that you visit. Click here to view, download and print a FREE sample. 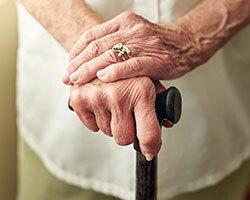 Caring for a loved one can put pressure and strain on even the most resilient person. If you've ever been a caregiver or have known one, you understand how straining it can be physically, emotionally and spiritually. Caregivers often put their own health and spiritual well-being aside to take care of the one they love. 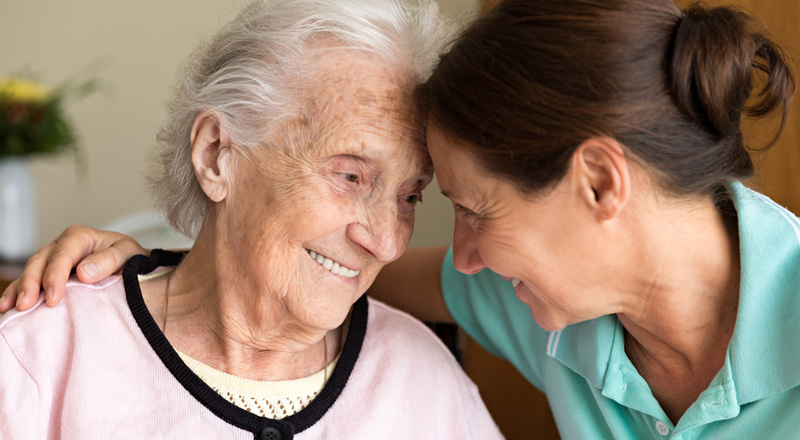 HomeTouch can be great ministry aid for the church to provide to the caregivers of homebound members - especially the elderly spouse or family member caregiver - who may be unable to leave the side of their loved one. 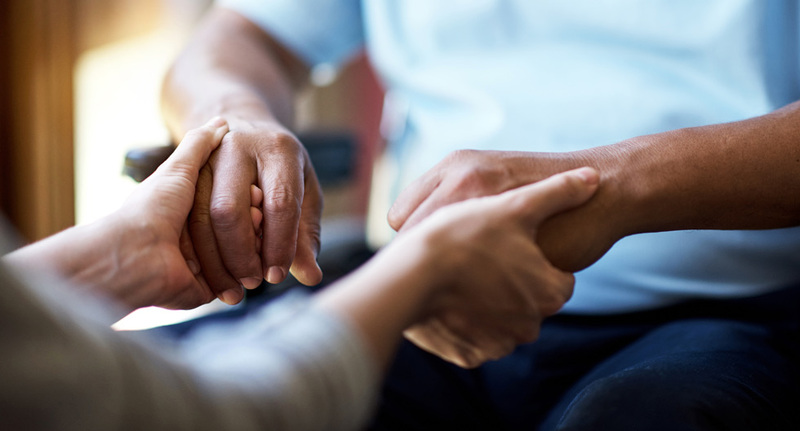 HomeTouch provides activities and Christian devotions that help to foster engagement and communication among loved ones at home or during hospital or nursing home visits. It will help spiritually revive caregivers and keep their minds focused on the Good News of the Bible—also letting them know their church is remembering them as well. 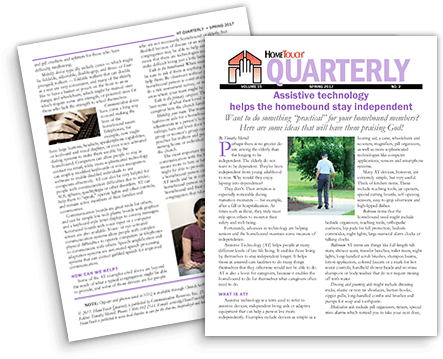 HomeTouch Ministry's Quarterly Newsletter provides ideas to the church to grow your outreach. And here's something more. 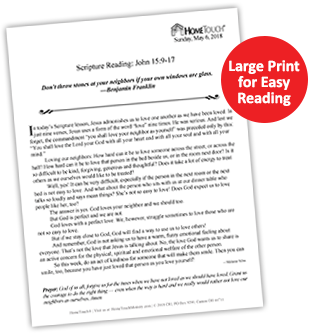 With HomeTouch, you will also receive a quarterly newsletter for the pastor. Each newsletter provides ideas to keep your senior adults or shut in members connected with church life. Plus, it includes material and information about homebound or senior adults that you can use in your church’s own newsletter—all to help strengthen and grow your ministry to these special members. Memberships begin at $4.95/month for electronic access or $12.95/quarter plus shipping for paper delivery - regardless of how many copies of HomeTouch you make and distribute. And if for any reason it doesn't meet your needs or expectations, simply mark "cancel" on the invoice and return it - no questions asked.